Denmark is the perfect place for an eventful and relaxing family vacation. Miles of sandy beaches, lots of space to play and try new activities – and all that in one of the most kid-friendly regions in Europe! Pack your bags now and save! More information about Denmark and our camps can be found below! Perfect to unwind, perfect to try new things! 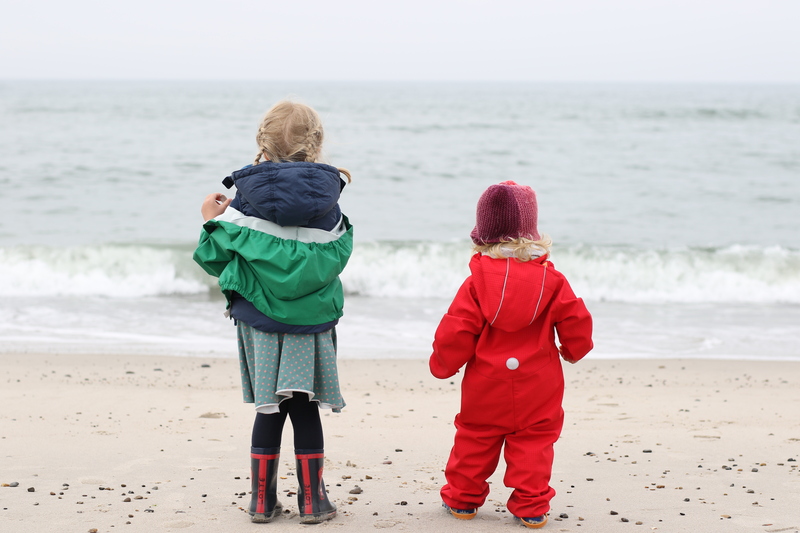 Regardless of whether you want to explore the North Sea or the Fjord, on land or in the water, the region around the drivethru surf camp in Hvide Sande offers tons of breathtaking nature and endless possibilities to have an active and fun family vacation with us. You will be accommodated in a 200-year-old farm house with a courtyard and outside terrace. The house has a 35’000 square meter surrounding garden with a camp fireplace and is located right between the North Sea and Ringkøbing Fjord. The private access point to the Fjord doesn’t make the decision easy if you are asking yourself: SUP- or kayak tour? A nice swim or a wild water fight after breakfast? With the sport equipment flat rate you are spoiled for choice every day! Additionally, you can also ride horseback, go fishing and much more in the surrounding area. 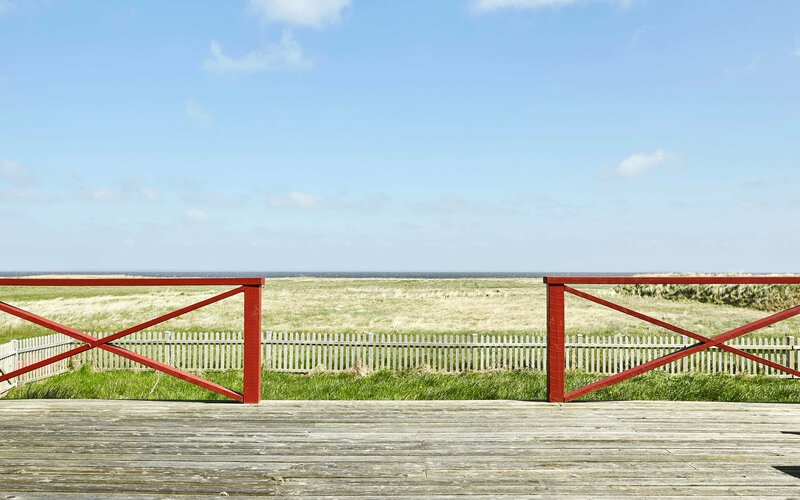 At our camp in Hvide Sande we have a total of 5 guest rooms. That means, that the atmosphere in our camp is very homey and cozy and there is plenty of time to get to know each other during your vacation. At the same time, the large farm house offers enough space for everyone to have some time to themselves, away from the other guests and maybe even a bit off the beaten track. You can read a good book by the chimney, take a nap on the terrace or take a walk through the garden to the Fjord. Relax! Or get some action and fun in a small group and with the whole family! All the advantages of a vacation home and camp life combined! Besides the group sport activities, if you vacation with us, you have the advantage of combining the best parts of a typical vacation home holiday and a classic surf camp experience. You will be accommodated in a unique place with a vacation home character feel, instead of being in a hotel. You can organize your meals and cook what the kids like. To ensure that you can sleep in during your stay and have a comfortable start into your day, we will take care of making breakfast! You will have your own room as a place of retreat and a comfortable living room with a cozy fireplace nook and an open kitchen as a social space, instead of a hotel lobby and buffet lunch. You decide how much you want to be involved with the camp life and how much time you want to spend alone with your family. At the end of the day you will fall into bed exhausted and happy anyway! "Viel Platz, liebe Menschen, spannende Natur - unsere Tochter fühlt sich hier pudelwohl!" Family room or a shared kids room? *2 adults and 2 children, in which 1 child sleeps in the room with the parents and 1 child sleeps in our shared kids room, it will be included in the total price of one double room. For 25€ per night you can book more beds in the shared kids room. What else to expect at drivethru in Hvide Sande? *Recommendation: Don’t forget to bring helmets for bicycle riding and skateboarding! Book your family vacation now with the drivethru family special. Book the drivethru family special now!